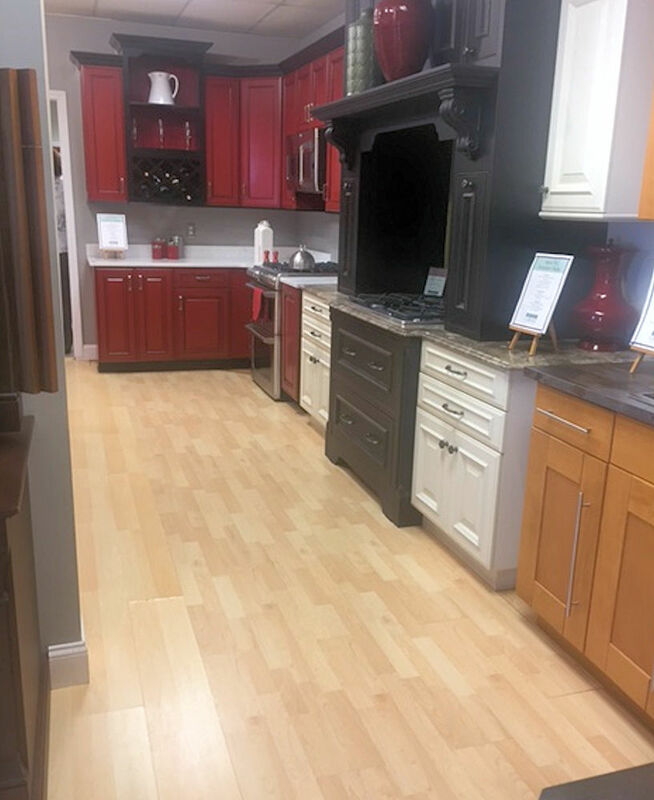 Visit us in Woburn to see an incredible amount of choices, covering a huge style and investment range. 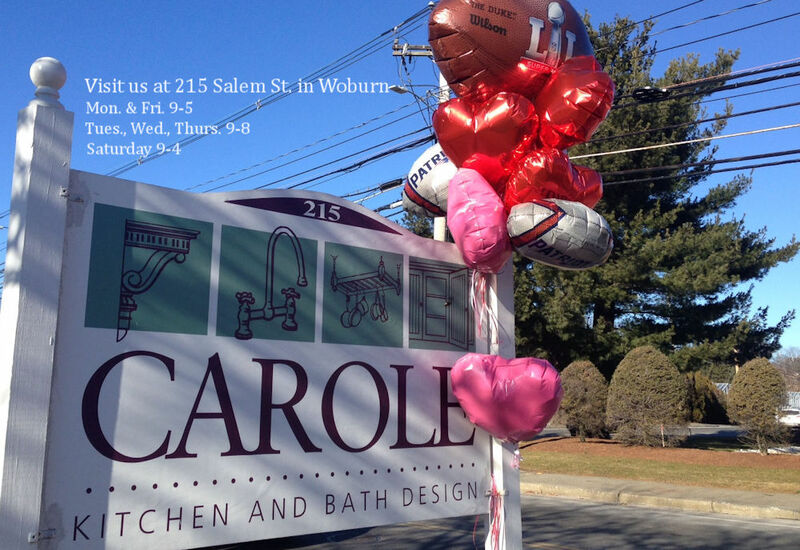 We’re open Monday & Friday 9-5, Tuesday, Wednesday and Thursday 9-8, and Saturday 9-4. 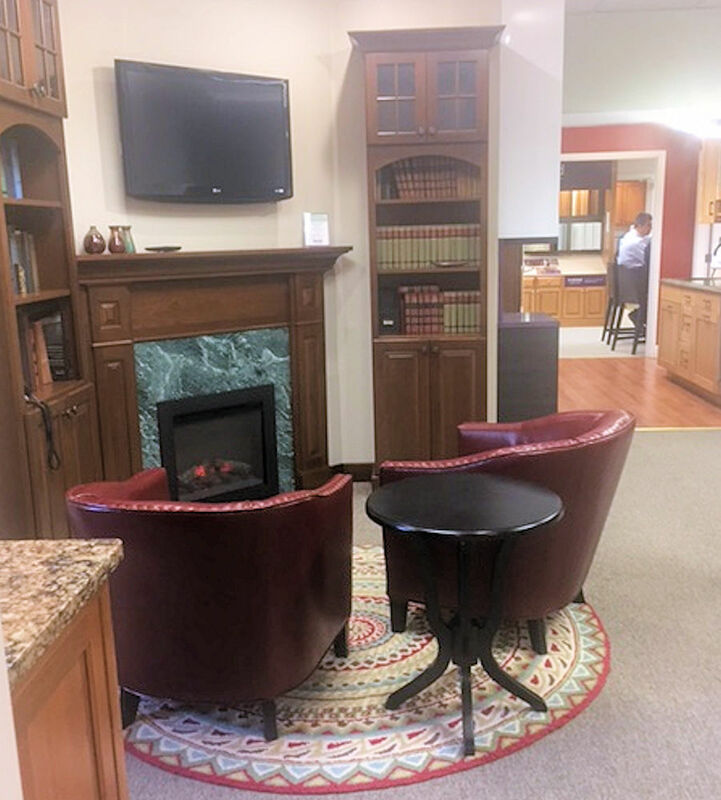 You’re invited to browse anytime, but for one-on-one designer time, please request an appointment in advance so we can reserve time for you. 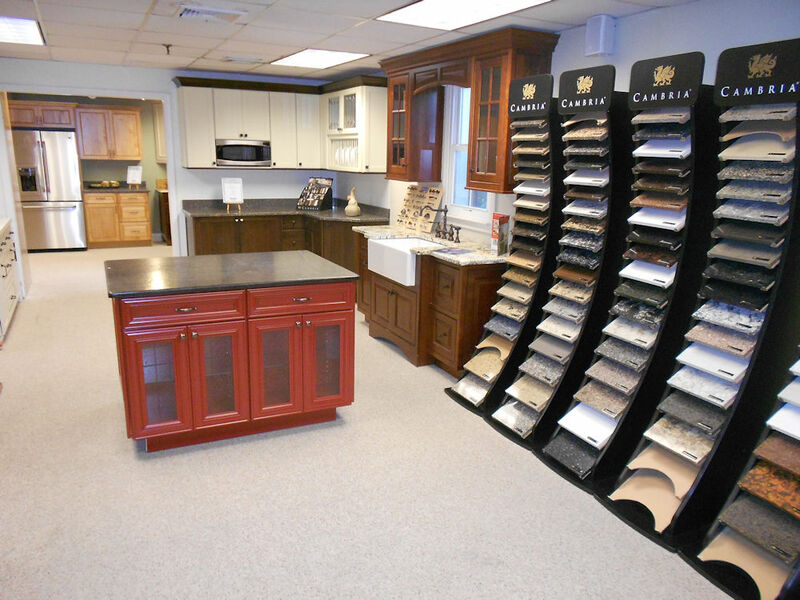 Our large Woburn kitchen showroom is open to the public. 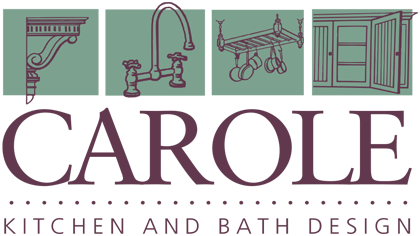 We hope you won't begin a kitchen project without checking out Carole's first! 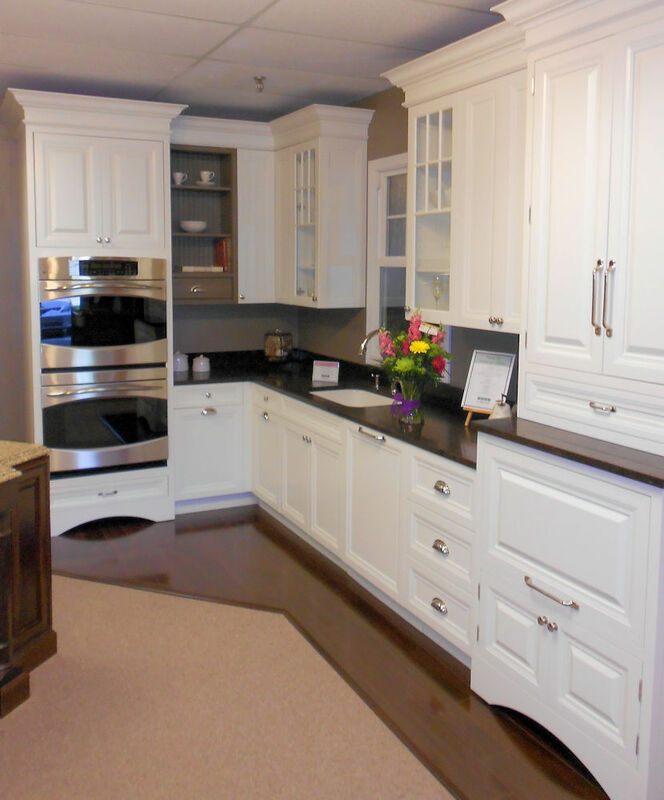 We will explain the differences between full-custom and semi-custom cabinetry. 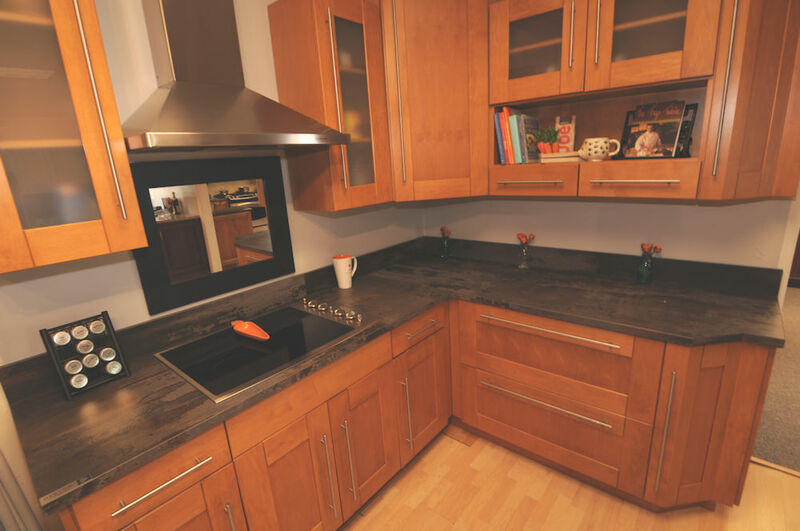 Learn about wood species, such as how cherry wood darkens with time and light exposure. 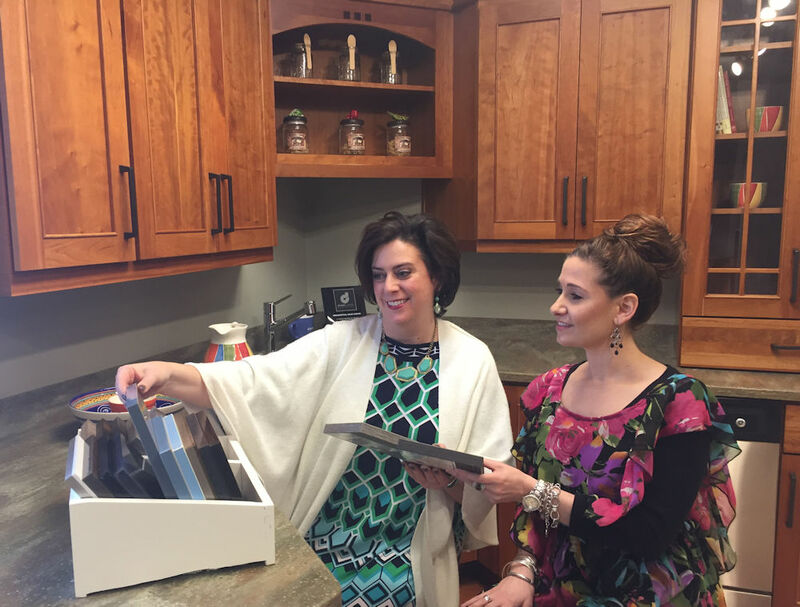 Talk with us about how to navigate options based on your unique project goals. Browse at your own pace. 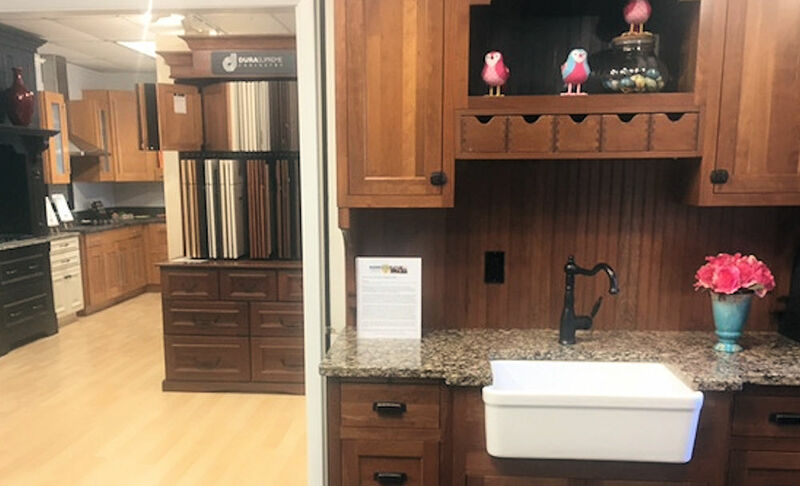 See a huge range of styles and options in one place. 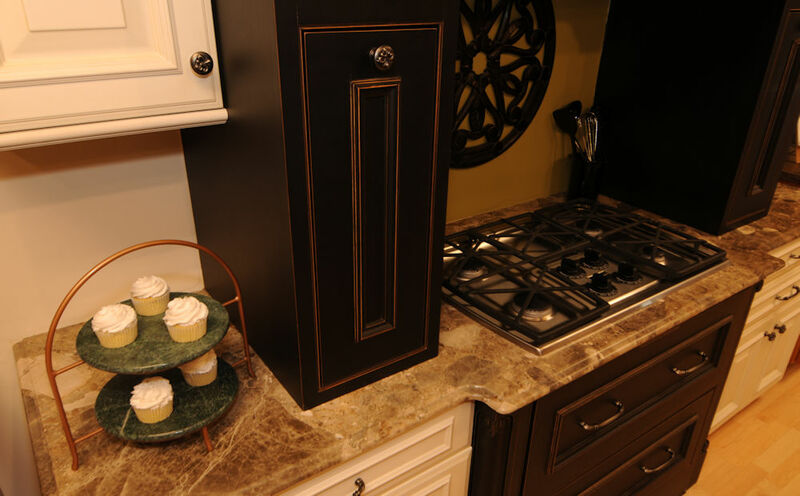 Explore semi-custom and full-custom solutions. 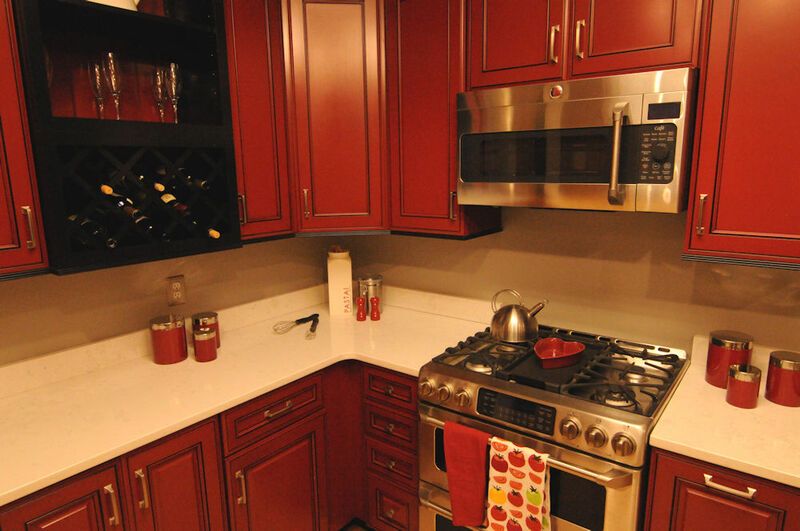 See kitchen vignettes in a variety of styles---some bolder and brighter like this red kitchen, and some more commonly chosen (such as white painted). 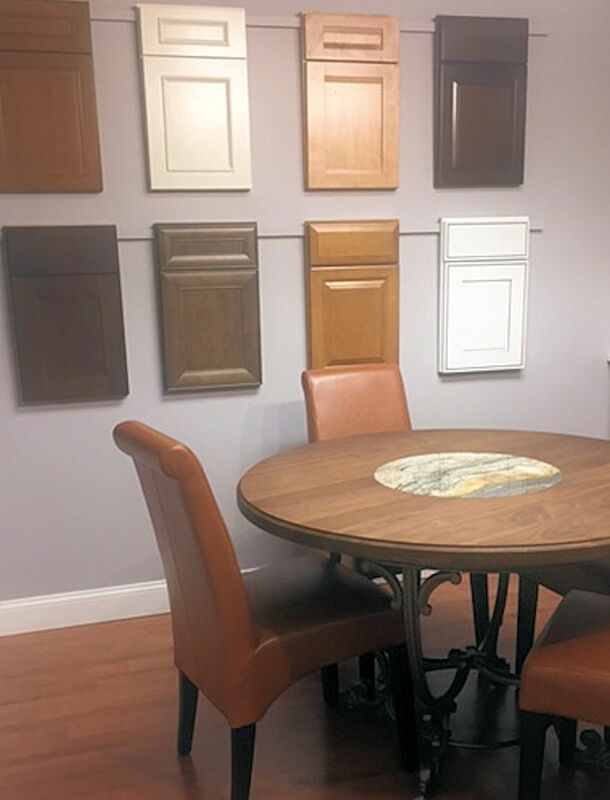 Contemporary, transitional, traditional, full-custom to more budget-conscious selections---we can help! 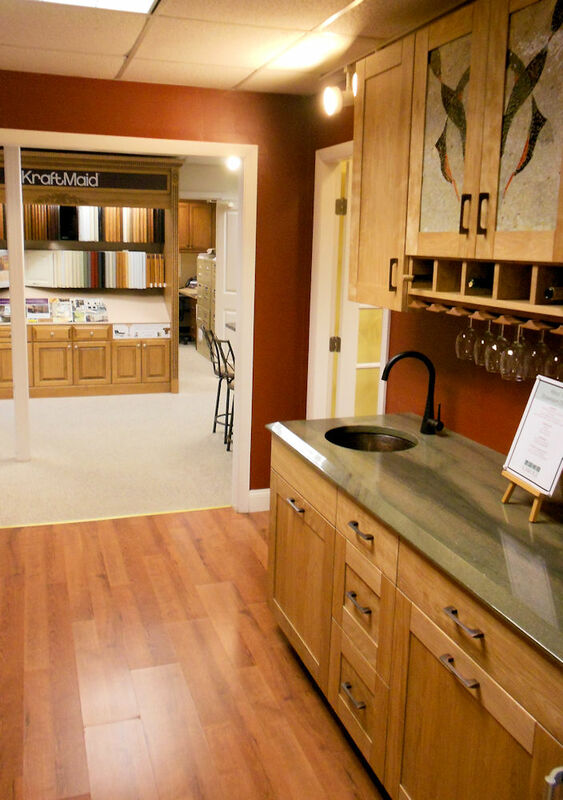 Let us show you examples of wood species, finishes, paints, etc. We help people with varied investment levels/budgets. 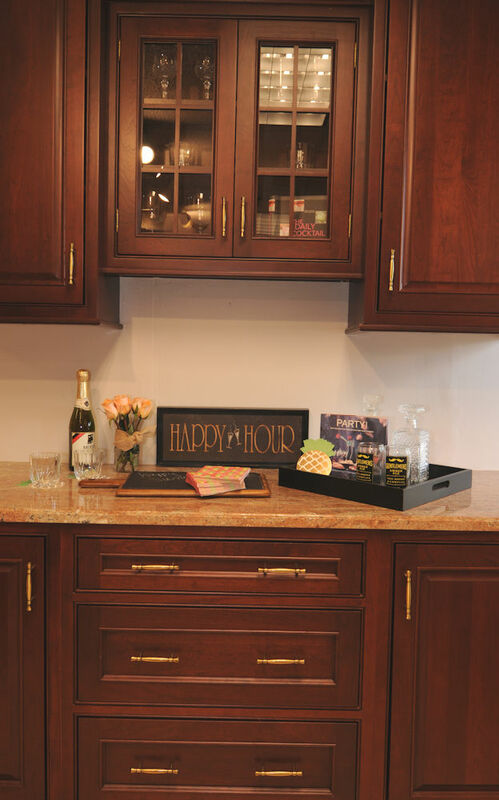 Our designers also design wet bars, entertainment centers, and more. 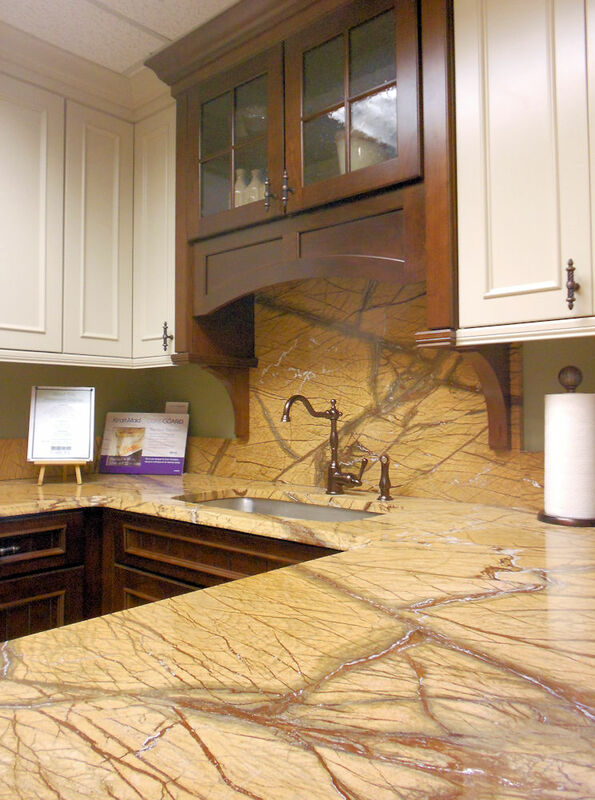 See an incredible array of countertop colors, materials and samples. 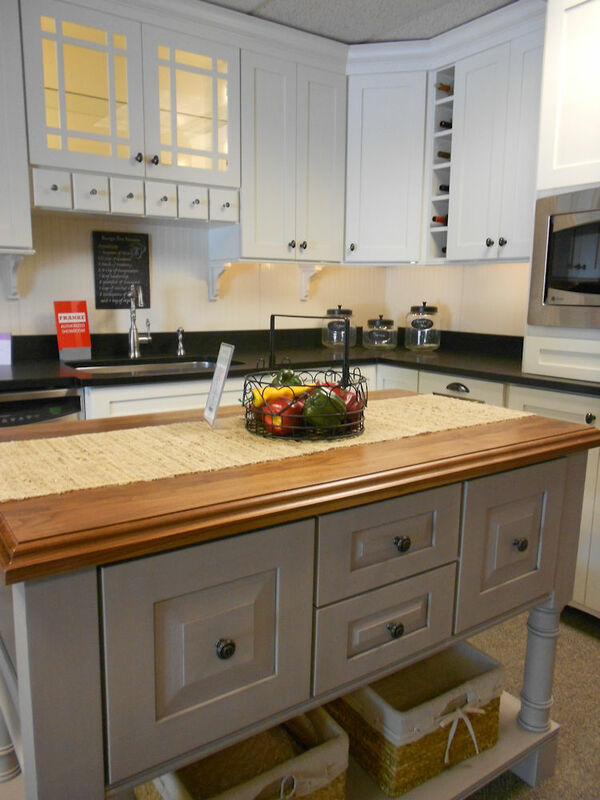 Browse dozens of kitchen display vignettes. 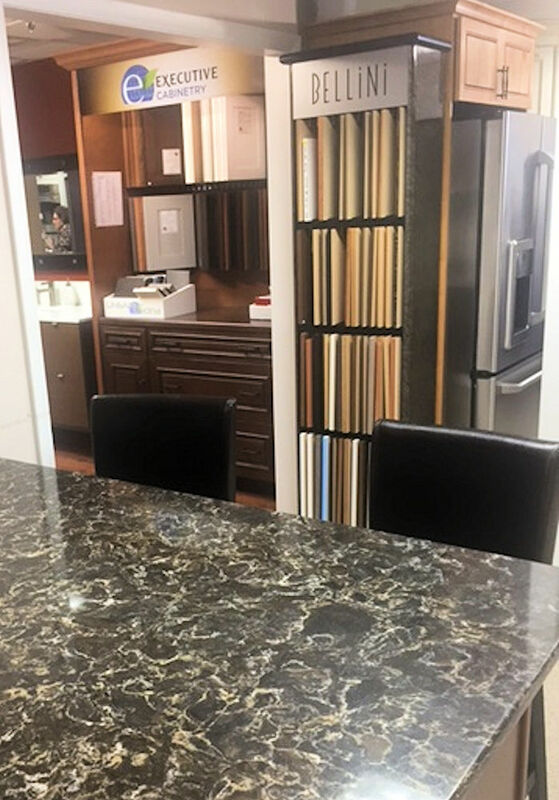 Whether you're interested in quartz or granite or another countertop surface, we'd love to help. 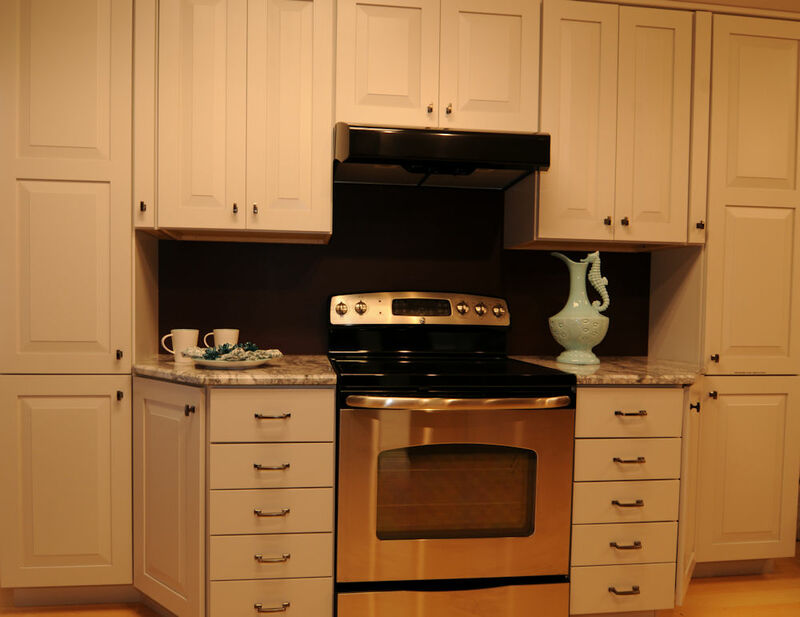 Our designers can help with cabinetry for living spaces and entertainment areas as well. 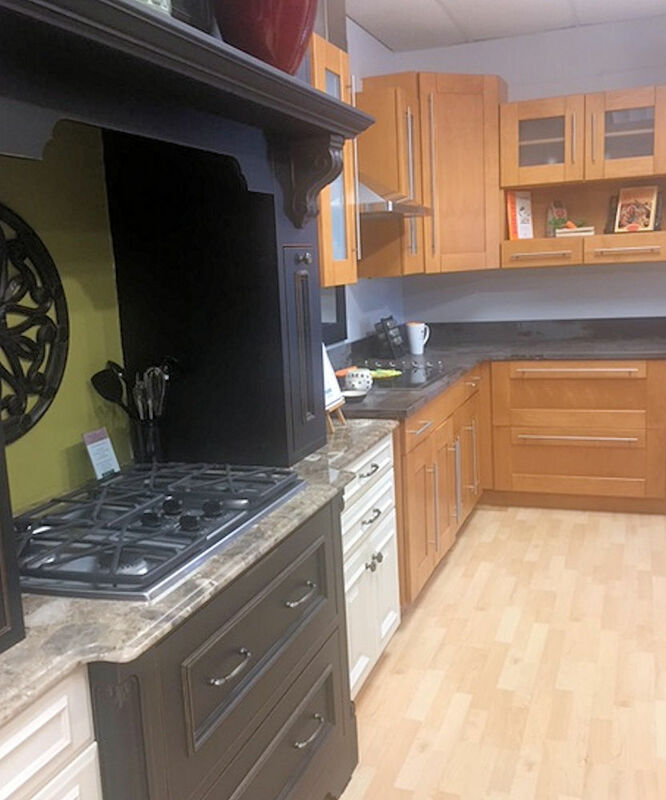 Whether your style is transitional, traditional, eclectic, or contemporary, we can design a kitchen which reflects your taste. 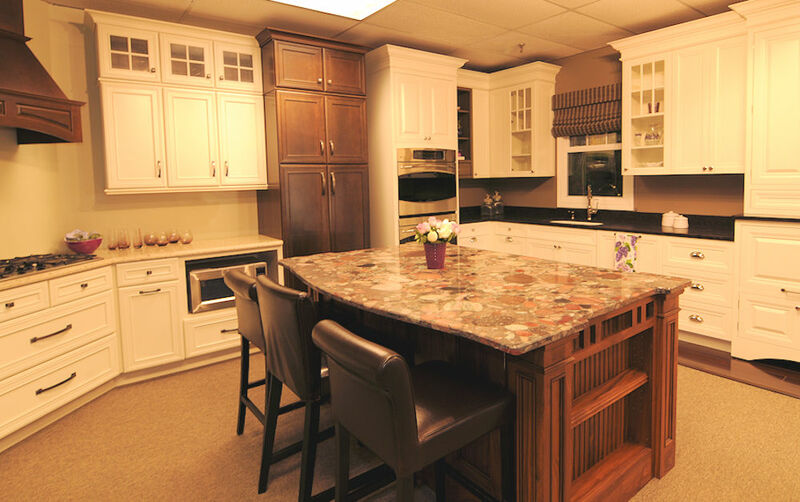 By the time you order your cabinetry, we want you to be confident in your design and cabinetry choice. 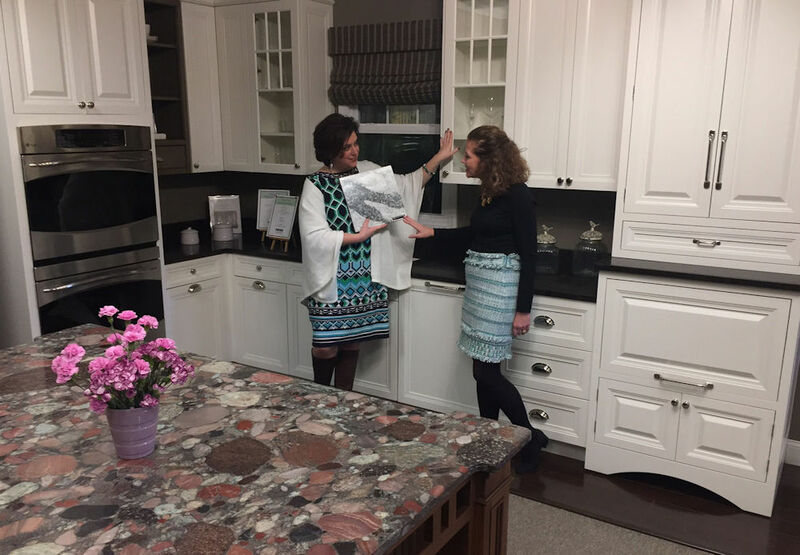 Carole Kitchen helps several hundred Boston-area clients design beautiful new kitchens every year. 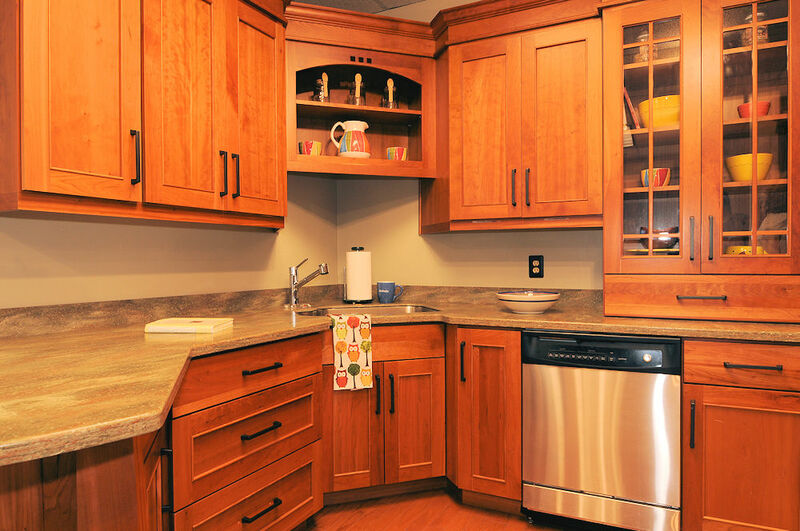 Choose from a huge variety of cabinetry door styles and finishes. 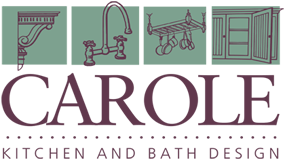 Carole's designs bar areas, laundry rooms, entertainment centers, home offices, etc. 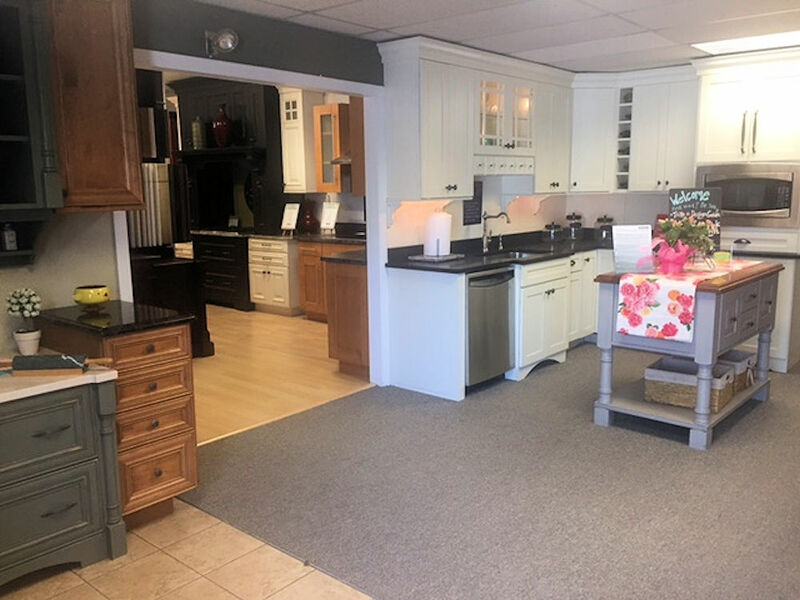 Let us help you find your perfect kitchen style!